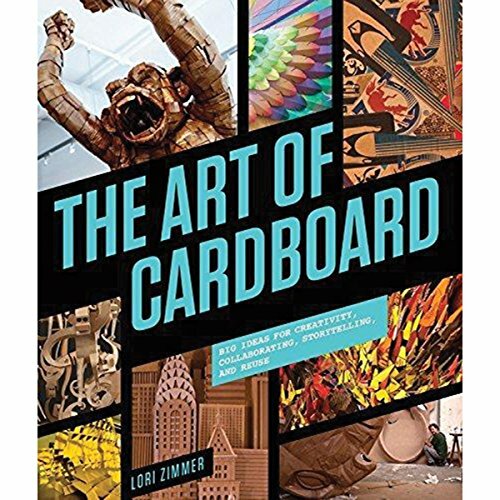 This is a book with really cool examples of cardboard art. There so much creativity involved and some artworks look really amazing. The book has lots of wonderful examples with different artists creating art that people normally won't associate with using cardboards to do so. This includes using cardboards to create sculptures, like people dancing, cards, cityscapes, lamps and all sorts of installation art. Many examples collected in the book have been exhibited in real life, so they aren't really student projects. Some artworks are huge and must have taken a lot of effort to execute. The ideas that go behind each project are also pretty good. The last chapter features several tutorials by artists that shows you how use cardboard to create art with instructions on how to cut, paste, stick, fold and paint on the cardboards. Very informative. It's a great book for artists into installation art, or for those looking for inspiration.